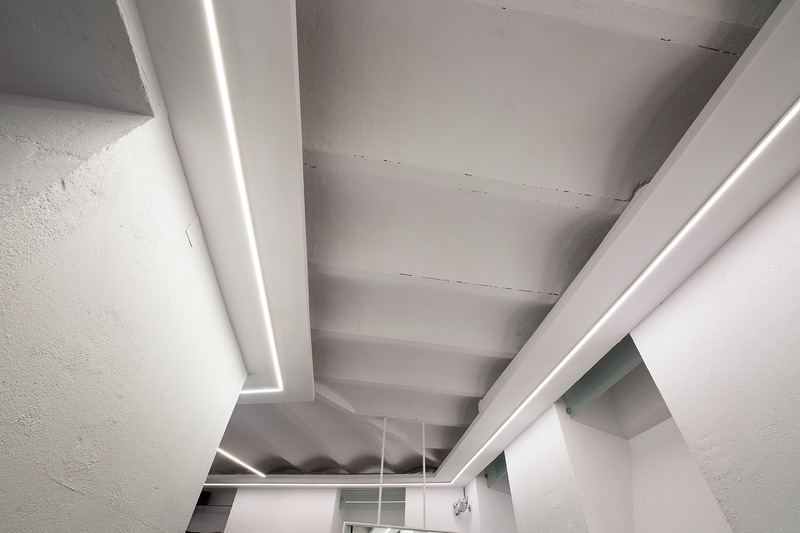 Internal reform on the ground floor of Sportivo, Madrid. 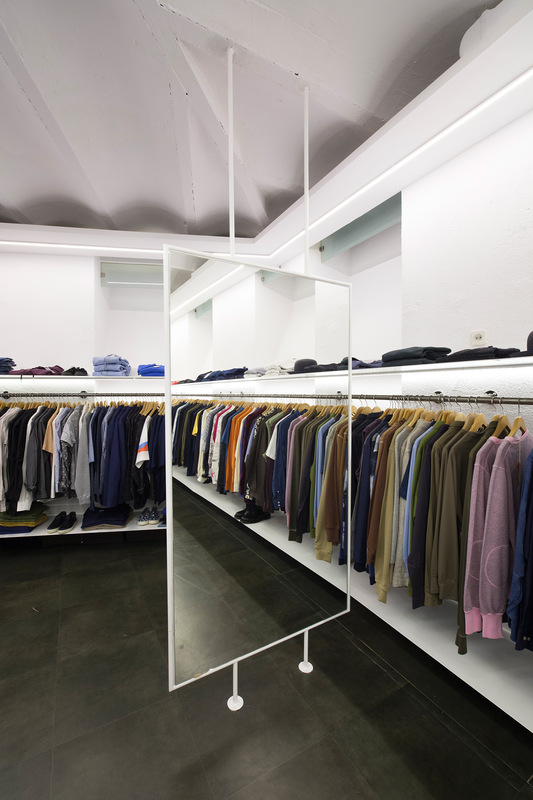 This is a very special store where Goyo, the owner, is a reference in the world of fashion. 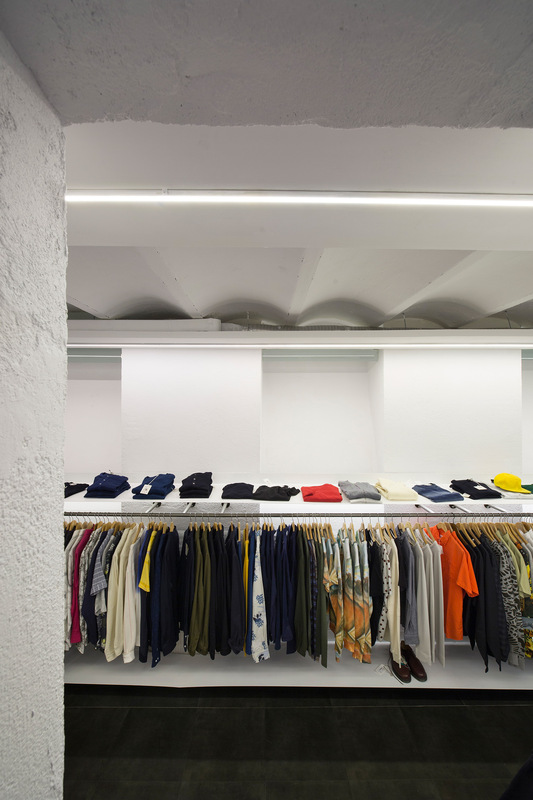 The space is organized into four longitudinal shelves that run around the perimeter of the store. 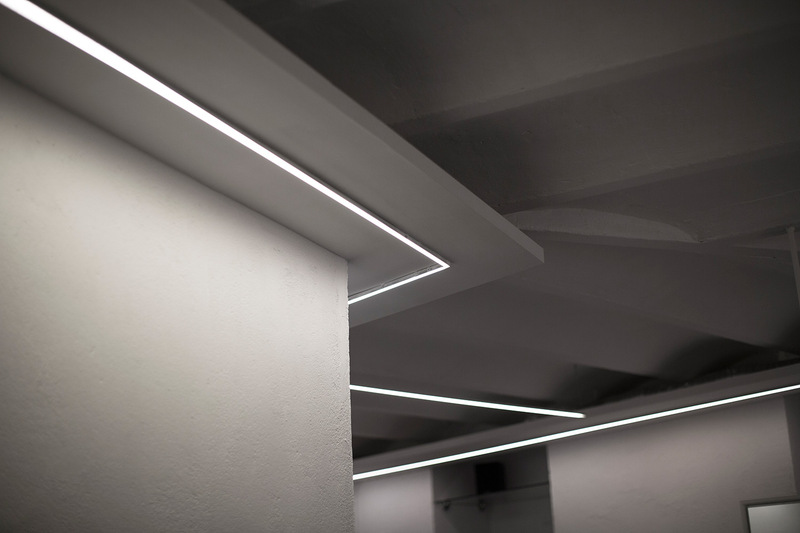 The ceiling has a continuous LED lighting, a shelf with folded clothes and a bar for hanging clothes and a bottom shelf for shoes. 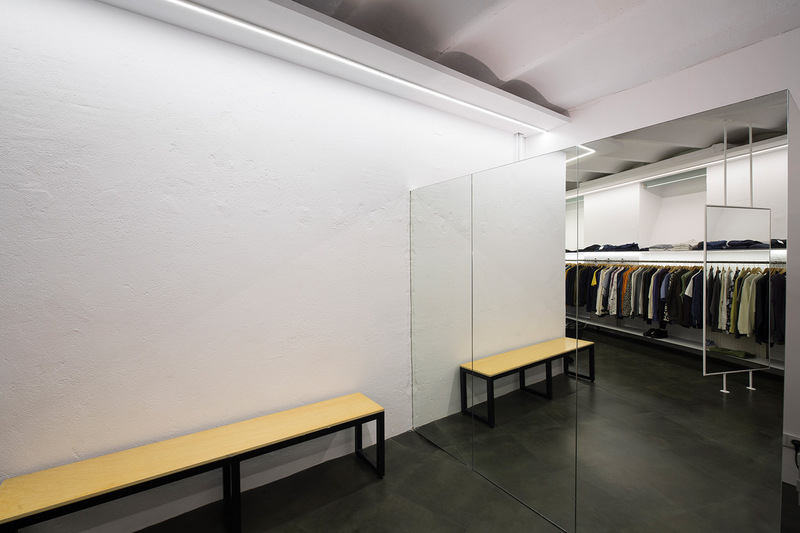 To enjoy a greater feeling of spaciousness, the office has beencovered with a mirror and a hanging mirror separates the outlet and the season clothing.